eHarmony is one of the most popular, and well-known online dating sites to date (no pun intended). 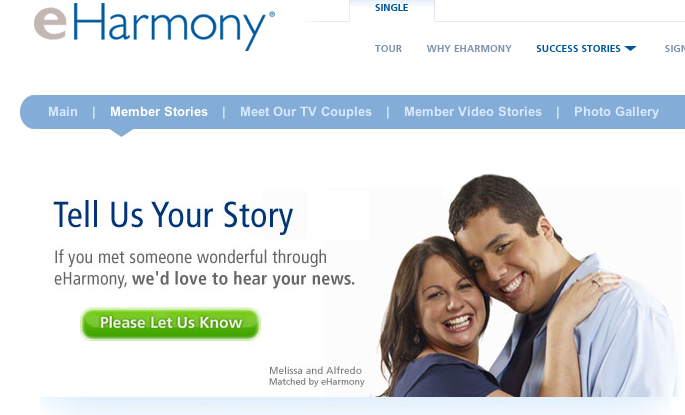 eHarmony prides itself on its success rates and success stories across the globe. For starts, it’s board are directors have years of experience in learning the psychology behind successful and long last relationships. They staff at eHarmony believes that the key to finding love is through compatibility. While this may sound obvious, eHarmony is absolutely devoted to helping its members find the perfect match based on learning the key dimensions to successful relationships. Even before signing up for eHarmony, prospective members can browse through the site to learn about what they may or may not be getting themselves into. This deems eHarmony one of the most user-friendly online dating sites out there. Like many online dating sites, eHarmony begins with a detailed process in learning about its new users. Known as the scientific Relationship Questionnaire, eHarmony really gets to know what you’re all about, so they can match you with the perfect candidates. Not only is it free to signup, it’s free to review your single matches. Even though you can only see your matches pictures once you join, it’s a fun way to learn that yes, THERE IS SOMEONE OUT THERE FOR YOU, and it’s only a few clicks away to get in touch with them! If you sign up with eHarmony, you’re really dealing with experts. They look at the many dimensions of dating, and simply put, they know what they’re talking about! At eHarmony, you are forced to create a unique profile-while some of the questions may be daunting, it’s important to have nerves when you’re about to potentially meet the man or woman of your dreams! When you first log in to eHarmony, you can learn about real stories of couples, marriages, love and romance. Like I mentioned early, eHarmony is free to signup, and lets your review your matches for free, but you will have to move forward with monthly to yearly membership to start the dating fun. While membership may prove to be more expensive than other online dating sites, you will get your money’s worth. As one of the number one trusted singles online dating site, eHarmony ensures it keeps up with times by having a mobile app for both Android and IOS! eHarmony’s Compatibility Matching System is exactly what it sounds like-a system to match your compatibility with others! 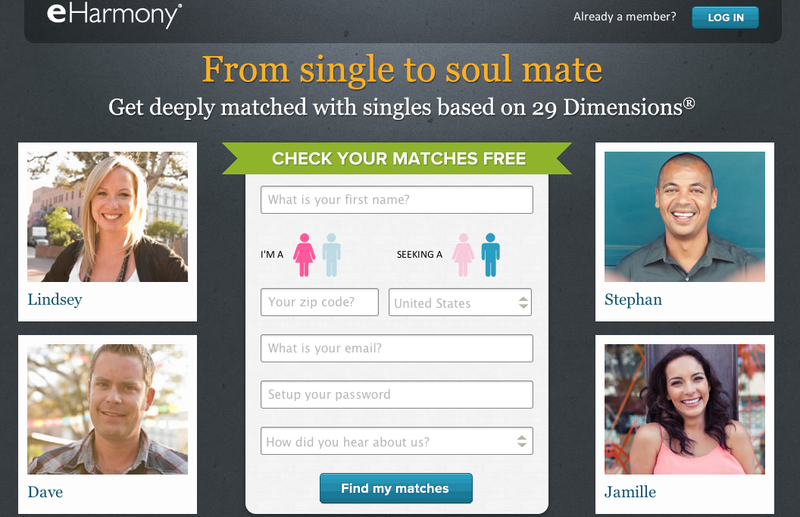 eHarmony dissects each user in understanding what they’re like, and what they should look for. Sometimes we may think we want a certain kind of person, and we could be completely wrong. eHarmony helps you work through these steps! eHarmony has a very professional and approachable interface. This is important because you’re likely not be to approached by bots or scammers. eHarmony is 100% devoted to finding you the love, romance, fun, and a completely enjoyable online dating experience! There’s no denying that eHarmony is a premium online dating site, devoted to pairing singles with singles. eHarmony uses a scientific approach to dating, with the idea that matchmaking comes as a result of finding true compatibility. With millions of members, you are pretty well guaranteed to find the one, not based on numbers, but quality. I’ve used many online dating sites in the past, and I find eHarmony the best online dating site if you’re looking for love, romance, and potentially the love of your life.